Synergy is the leading supplier of some of the world’s most Innovative Company, Brand, Sponsorship and Event Branding Solutions. From exhibitions, trade shows and conferences, to sales promotions, product launches and sporting events…our branding solutions will help you to make an impact, gain awareness and increase sales. But engaging with your customer’s means more than plastering a venue or event with your company logo. 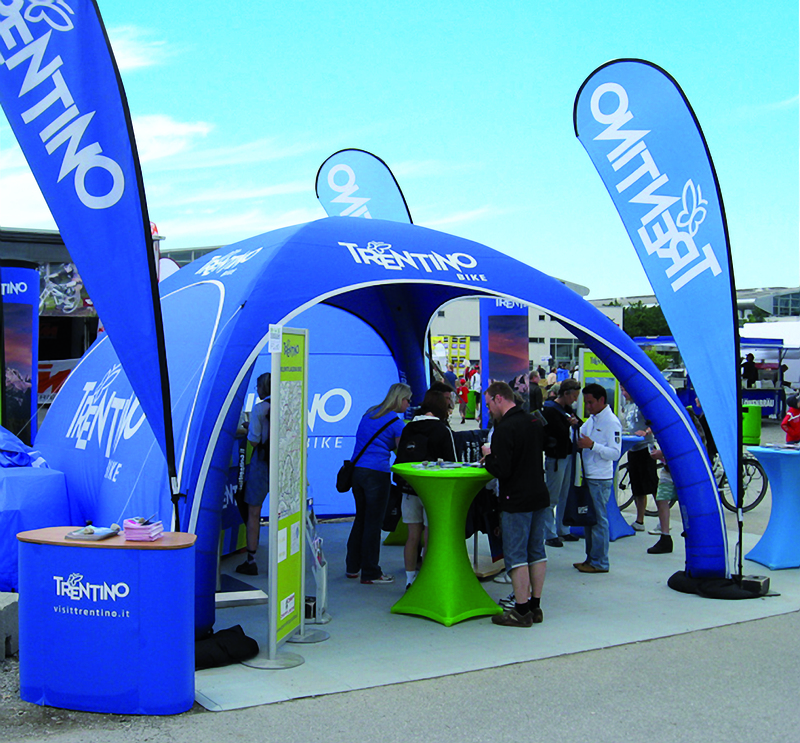 Event branding is about getting consumers emotionally involved with your product or service. Its about igniting a bond between your brand and your target consumer. It’s about getting results. With this in mind, talk to us soon about how Synergy’s Company, Brand and Event Branding products, our expertise and experience can help you take ownership of your next event. In a cost-driven, deadline dependent marketplace, Expandasign deliver quality graphics on time and to budget. I have no hesitation in recommending them to other businesses. Cartridge Green has used flying banners from Synergy for 4 years. We initially used the small banner with wall mounted bracket and this year added the stand alone medium banner to many of our locations. The banners are extremely durable and strong and give our brand an elevated main street presence. The banners create an attraction for passersby as a result of the motion of the actual banner in the wind. The rubber bases are really well made and can withstand gale force winds. 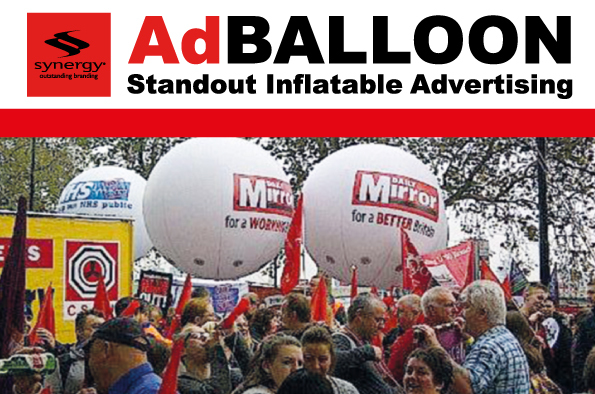 If you are looking to draw attention to your business, I would highly recommend the use of flying banners. We have used Expand Sign banners recently for some of our clients and they were quick and easy to set up, they created great brand awareness and where delivered on time and at the price quoted. We will certainly be using them again. Lexus availed of the services of Expand A Sign in 2010 to generate visibility of the Lexus sponsorship of the Lexus Race to Mount Juliet. 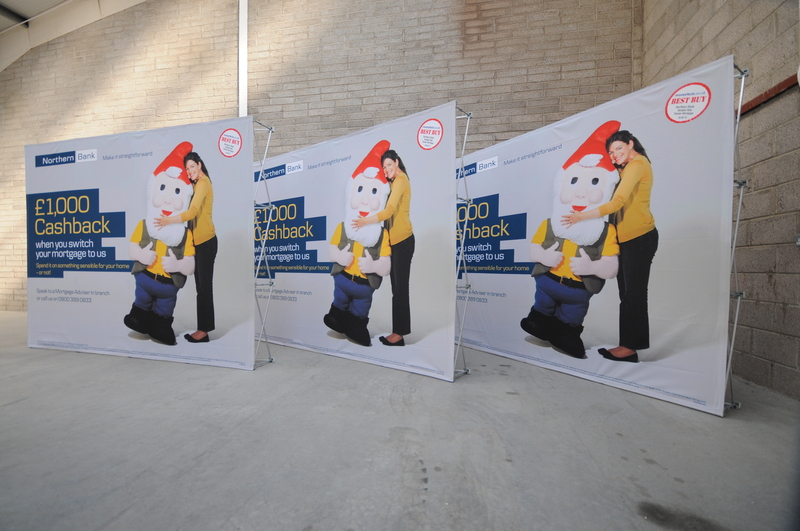 The pop-up banners were delivered within a tight time-scale, and as they are lightweight are easy to transport and use. The quality of production was excellent delivering great awareness of the sponsorship. The service provided by Michael and his team in Expand A Sign was very professional and we would have no hesitation in recommending them. All the best for 2011! From very first contact, the team at Expand sign could not have been more helpful and willing to advise on options. Michael even came out to help me measure the area! The Cafe Barrier was delivered on schedule and our company logo looks fantastic. The barrier has enhanced the Juice Bar’s seating area and provided valuable advertising. As a result the Juice Bar is now highly visible in the Mall. If I need additional barriers in the future, I will definitely be using Expand sign again as there professionalism is second to none. Expand a Sign provided the Irish Heart Foundation with a quick turn-around but thorough service. Purchasing the teardrop banners has been instrumental in increasing brand awareness at our activity and community fundraising events. They are produced to a high quality and packaged easily for ease of movement. I would recommend for product quality and service. I chose to order Peroni parasols and other bespoke branded items from Michael at Expand a Sign as I knew I would be guaranteed great customer service and top quality finished products. Michael knows what visibility items need to achieve. He sources the best solution and ensures a smooth transaction every time. I have no hesitation at all in recommending Expand a Sign as a supplier for future promotions or events. Expand a Sign delivered an exceptional service for our branding and marketing requirements. The promotional banners were easy to set up and take down with very positive comments coming from our customers on the presentation of our promotional stand. A job well done in a highly professional manner! Expand a Sign provided a fast reliable service with a fantastic looking finished product. We were delighted with the service. We choose Expand a Sign to produce our flying banners and fixed banners for our Gourmet Food Village. They have proved to be a vital part of our business ensuring visibility in densely crowded areas at festivals and events. They are easy to transport and erect and very durable in some of the adverse weather conditions we encounter! We would have no hesitation in recommending Expand a Sign to any prospective customer. In 2010 I purchased two branded pop-up promo shops from Michael. 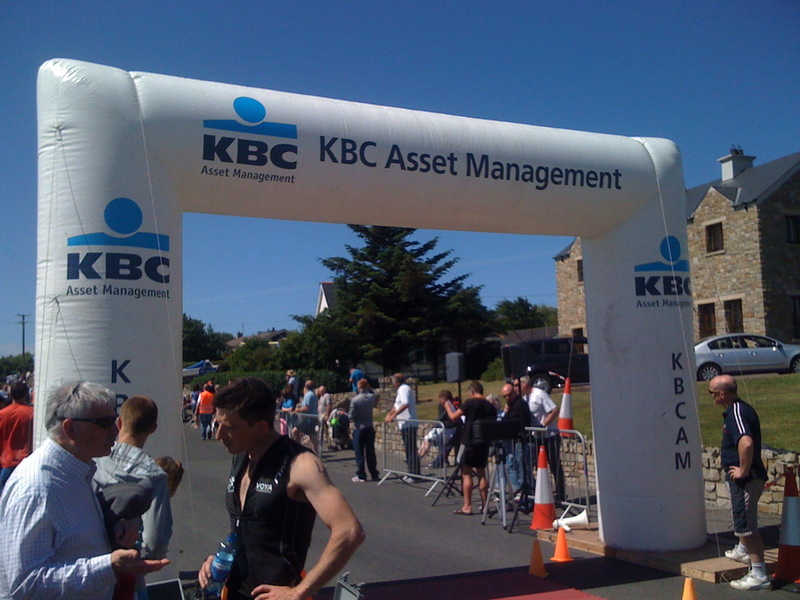 They are easy to erect and dismantle and make a very eye catching statement at the sports events we service. I have already ordered another product to complement these items and was very pleased with the fast response and professional way my enquiry and order was handled. I have been very impressed with all aspects of Synergy’s service – from the speedy reaction to post-sales support. This is the first dealings I have had with the company and I have been delighted. Michael has also been very proactive at follow up and recommending additional ways of promoting and displaying our brands at store level. The banners that we have used have enhanced the presentation of our company at outdoor and indoor events, and I would have no hesitation at recommending him to other brand-owners. Optimum Nutrition strives to produce distinctive, affordable, premium-quality products while making every effort to anticipate ever-changing customer needs and meet the demands of a dynamic market with innovative products, effective support materials, and unsurpassed service. We found these very same goals reflected and put into action with Synergy and their innovative Expand a Sign Banners. These where exactly what we needed for our event and so well were they received that we continue to use them now for all ongoing events. I would happily recommend Synergy to any of my colleagues or contacts with the knowledge and confidence that they will not let me down or you. Expandasign have provided us with flying and fixed banners that have greatly enhanced the image and presentation of our races and events, whilst also providing our sponsors with valuable and prominent exposure. Michael has responded speedily to all our queries and provided excellent customer service, ensuring we are 100% happy with the promotional items. We will definitely use Expandasign again, and would readily recommend them to any prospective customer. The Expand a sign has been most effective in gaining brand awareness for Fuji across a number of high profile events. Expand Sign banners were quick and easy to set up, they helped us make the most of this fantastic venue and maximised our presence at the event. We have recently completed a corporate re-branding exercise in the Henderson Group. The icing on the cake was communicating these new corporate identities to the general public via Expand a Signs. Our new logos looked superb on the Expand a Signs and they acted as a great backdrop for PR publicity photography. Expand a Sign offered a new range of innovative outdoor branding opportunities. The flying banners helped us to refresh our presence around the Heineken Cup and bring something new and different to the event. At a recent Kilkenny Source Rod Stewart concert, Budweiser wanted to highlight their brand association and direct consumers to the bar area. Expanda Disks offered an innovative and different way to advertise both messages on a single platform due to their double-sided nature. Since they move freely with the wind branding could be seen at all times highlighting our visibility and presence at the event. At Charles Hurst’s we wanted to increase our visibility from the roadside. Flag-It’s provided us with a new medium to illustrate all our corporate messages/services and highlight our brands. As they do not depend upon the wind we were able (for the first time) to maximise our outdoor advertising in all weather conditions. The Banners are working really well, they are attractive and eye-catching. Both the customers and the retailers here love them. What works well for us is that it’s so easy to change the skins; that saves us a lot of time and effort and means we can advertise promotions quickly and effectively. I would like to take this opportunity to praise you and your staff for such an efficient and fast service. NIMBA has benefited enormously from the use of our flying banners and cabana they had a huge impact at the Belfast City Marathon 2006 and ultimately helped us with our fundraising effort. I will certainly use Synergy again and have already recommended them to many other organisations.